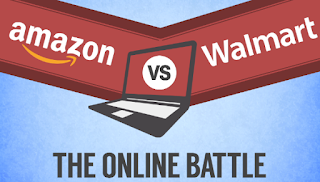 Walmart Sales Extravaganza July 15th vs Amazon PRIME Day! The completion between Walmart and Amazon is ON! PLUS they have dropped the minimum free shipping price from $50 to $35! Keep an eye out July 15th for a TON of great deals and of course we will be checking to see who has the best price. Join the Facebook Event Page to stay updated – and of course I will be updating deals on STLMommy.com as well. 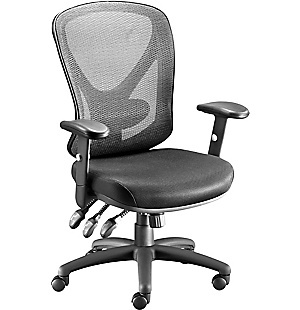 Head over and check out this Staples Carder Mesh Office Chair for $99.99 (Retail $199.99). Work comfortably at home or the office with the Staples Carder Mesh Office Chair. Ideal for those who spend long hours sitting at a desk, this ergonomic office chair offers a contoured seat with molded mesh chair back, adjustable padded arms, a tilt-and-lock option, and adjustable seat height. Its durable five-star base with carpet casters stands up to heavy loads. Crafted from highly breathable mesh material, this Staples office chair meets or exceeds all ANSI/BIFMA standards. Adjustable Seat, Arms, and Tilt Provide Back Support The computer chair's control mechanisms allow you to adjust the seat height and tilt and lock the chair in a semi-reclining position, taking pressure off of your lower spine. Its ergonomic molded mesh back supports your back to help reduce fatigue. Adjustable padded arms provide a comfortable resting place. Breathable Mesh Keeps You Cool Made from breathable black mesh upholstery, the Staples Carder Mesh Office Chair keeps you cool and comfortable, while giving the chair a modern, stylish look.What's in the Box Staples Carder Mesh Office Chair, Black. 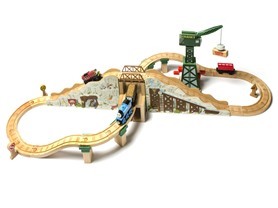 Right now you can get Fisher-Price Thomas &amp; Friends Gold Mine Mountain Wooden Railway Set for $79.99 (Retail $139.99) plus Free Shipping. The Thomas Wooden Railway brings the beloved stories of Thomas &amp; Friends to life, and will provide your little engineer with a rich world to discover and explore. Building with the Thomas Wooden Railway will help your child to develop physical, social, and cognitive skills as well as a sense of pride and accomplishment. Thomas &amp; Friends will inspire your child to believe that little people - like little engines - can do big things. Your child will enjoy hours and hours of independent play because the track layouts are easy to build, the trains are simple and fun to connect, and there are lots of lights, sounds, and other stimulating features. The Thomas Wooden Railway's long-standing commitment to quality ensures parents that these engines don't just have friendly faces but are built to last. These are the wooden engines your child can play with for years to come. Outback Steakhouse - FREE Bloomin' Onion 7/13! Head in to Outback Steakhouse for some free food on Monday, July 13th! Amazon - Nerf Blasters & Accessories up to 60% off! Today only, save up to 60% off Nerf Blasters & Accessories. These are great to put in the gift closet. Gap - Up to 35% off Including Sale Items! Today only, Seize the savings at Gap! Save 35% off your purchase 'til 3 pm ET or 30% off your purchase from 3 pm to midnight ET. Includes Sale! Use code NOW. Ends 7/13. Restrictions apply. Restrictions: Offer valid online only through 7/13/15 in the US and Puerto Rico. Additional restrictions and exclusions apply. Click here for complete details. I am loving this Foldover trapeze skirt in black for only $12.99 (Retail $44.95).